At Dove Hearing, we have an excellent range of invisible hearing aids in Lichfield to provide you with a discreet hearing loss solution without sacrificing quality. Hearing aid technology has never been more advanced and the devices themselves have never been smaller. They are virtually undetectable to the naked eye and very comfortable to wear. 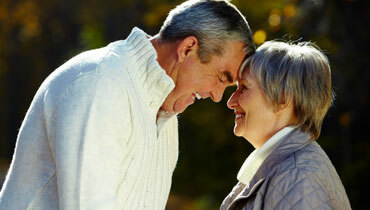 Invisible hearing aids are an amazing way to improve your hearing and quality of life. Unlike most of our national competitors we stock a range of invisible hearing aids from leading brands such as Siemens, Lyric, Widex, Oticon and many more. We can also offer massive discounts on invisible hearing aids purchased from us due to our excellent working relationships with the manufacturers. Plus, with a full money back guarantee on all purchases you can be assured of satisfaction. One of the major things people are worried about when choosing invisible hearing aids is that they will be uncomfortable to wear but this really isn’t the case. Our invisible hearing aids are custom built to fit snugly into the ear canal to achieve maximum performance and comfort. Hearing aids are built to make your life easier, not harder and invisible hearing aids are specifically designed to be as useful and comfortable as possible. Our friendly hearing consultants are always on hand to ensure you find the right invisible hearing aids in Lichfield. We have decades of experience and take great pride in our standards of customer care. Dove Hearing offer a full after care and consultation service to ensure everything runs smoothly after you leave us. If you have any further questions then please don’t hesitate to get in contact with us today and one of our friendly team will be more than happy to help with any enquiries you may have.